If you will ask everyone in the body art industry and the tattoo community on the reason why they get tattoos, you will not get one specific answer from all of them. Some get tattooed in order to honor deceased loved ones like a family member or a beloved pet. Some get inked as a form of expression or rebellion. However, not everyone needs a deep meaning when it comes to the reasons behind tattoos. There are people who simply want tattoos because they think it looks good on them. The ones who think of tattoos this way often go for the most badass tattoo designs around instead of meaningful ones because if they want to look good with tattoos, they might as well go big and choose the most amazing and the most impressive jaw dropping design the world has to offer. Here in Tats N’ Rings, we also have individuals who also put a great deal on the visual appeal of the tattoo and we will be sharing with you the designs that we considered as “badass”. In this article, we will be sharing with you our rich and vibrant gallery of badass tattoo designs that we think you will absolutely love! We will also be sharing with you the various designs we consider as badass and a brief background that will give you an idea on badass tattoo designs. 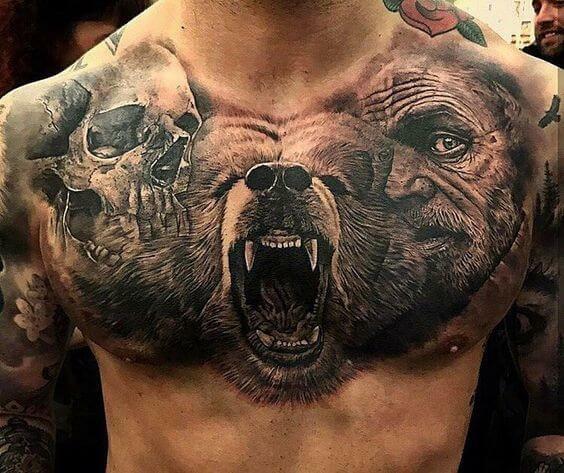 1 Badass Tattoo: Is It Expensive? Badass Tattoo: Is It Expensive? Like we have said earlier, not all tattoo artist can do a well done and beautifully made badass tattoo design which is why finding the right artist for the job is hard. Since the artists who can do the tattoo designs that can be considered badass are quite rare, it is not surprising that these artists have a high talent fee whenever you will have him or her ink something for you. A rule of thumb in the tattoo community is that the more difficult the design or the more complex, the more money you will have to pour out. 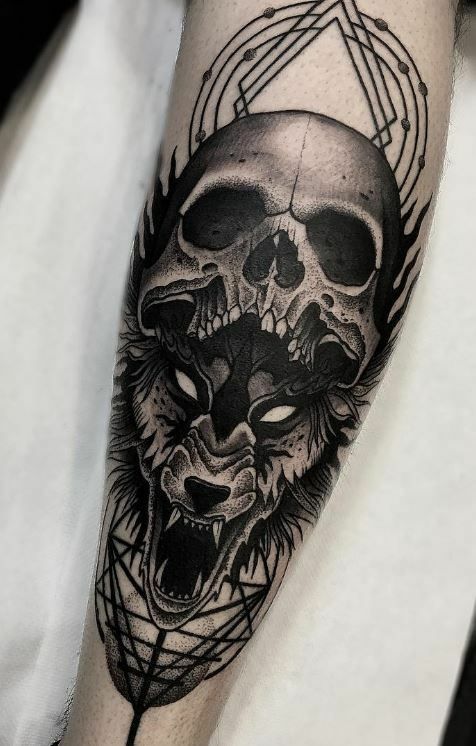 Badass tattoo designs alongside cool tattoos are tattoo designs that are considered to be very complex, detailed, difficult, and long to make. This can be attributed to the high level of detail of these tattoos have. The color of the tattoo also affects the price of a tattoo. If the tattoo will only use one color like let us say, black, it will be cheaper than a multicolored one which is why traditional tattoo designs such as skull tattoos are way cheaper than watercolor tattoos and neotraditional tattoos. Since the traditional tattoo design only uses a few colors with most of the time only one color, the price is heavily watered down. The larger the tattoo the higher the cost of getting it and the smaller the tattoo the cheaper it is. A larger tattoo is more detailed hence requires a lot of work thus being expensive. The size plays a huge factor in tattoo prices. Steampunk is a subgenre of science fiction or science fantasy that incorporates technology and the aesthetics of nineteenth-century machinery. Its signature retro-futuristic look has been inspired by nineteenth-century people’s vision of the future where it is often associated with the fashion and aesthetic design of the day. The majority of tattoo enthusiasts who has a steampunk tattoo will not have any particular reason as to why they would get this tattoo design. They would just have it inked because of its cool and unique aesthetic value. 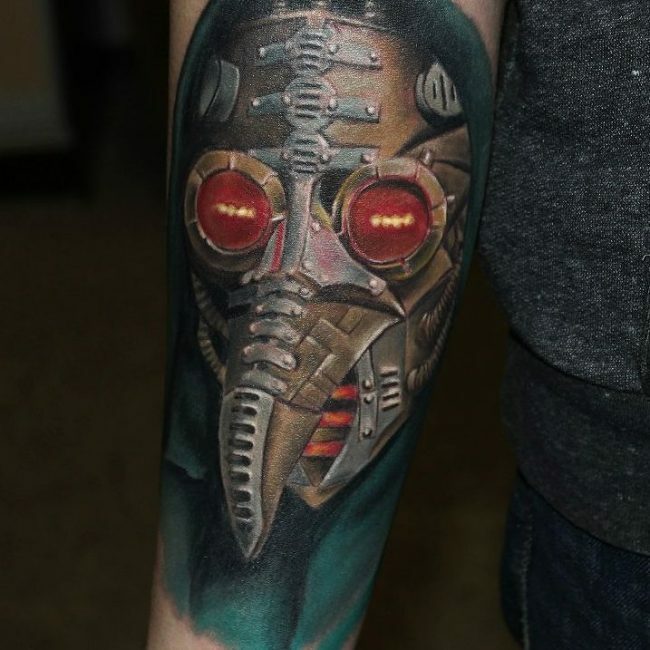 Those that know this science fiction’s subculture, however, would get this tattoo because of their fascination with steam-powered machinery and post-apocalyptic future. One may also argue that they have steampunk tattoos because of their appreciation of Victorian Culture. 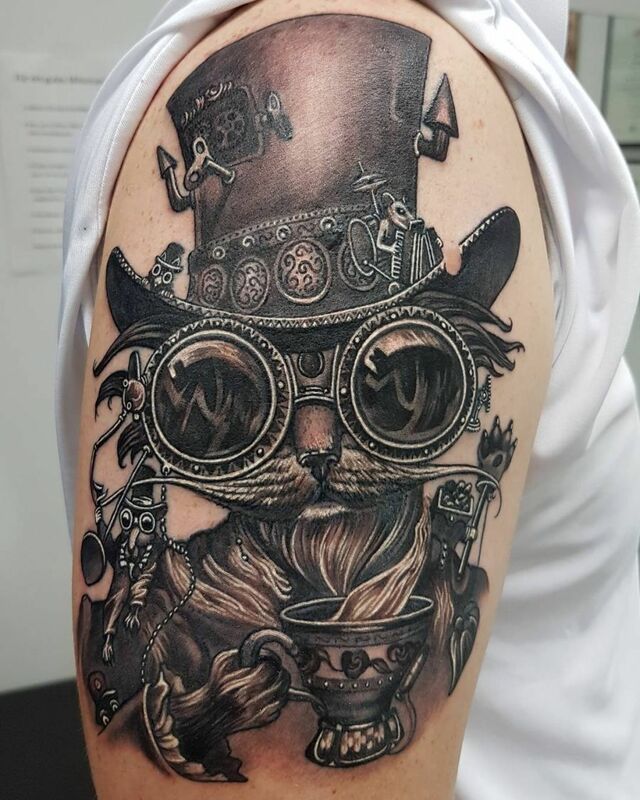 A tattoo of a mad hatter with steampunk details. 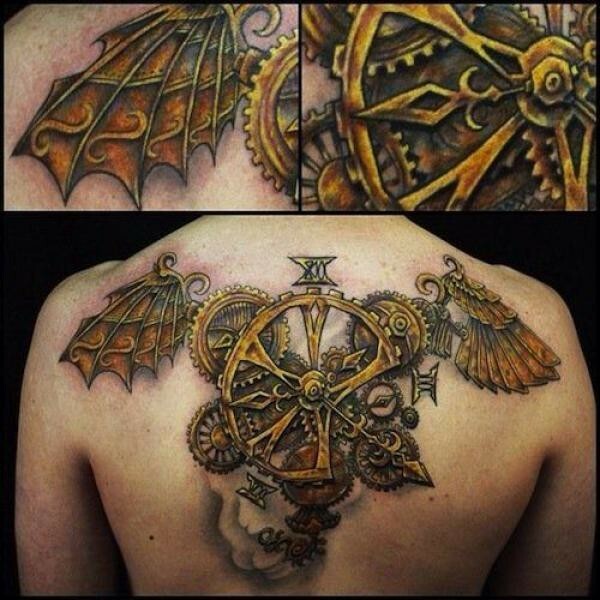 A steampunk winged machine tattooed on the back. 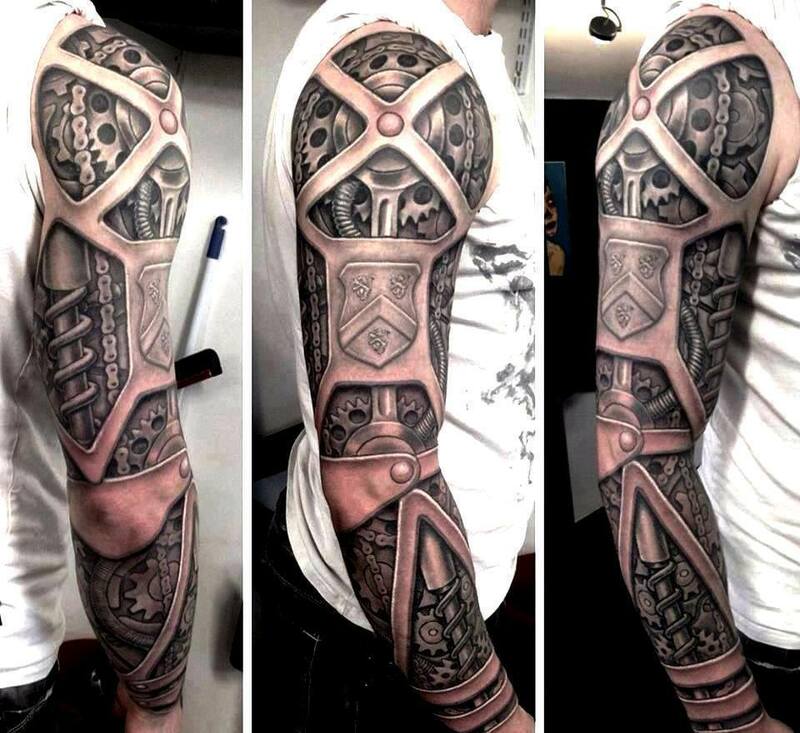 Another full sleeve robotic steampunk arm tattoo. A highly detailed back tattoo of a steampunk ribcage. 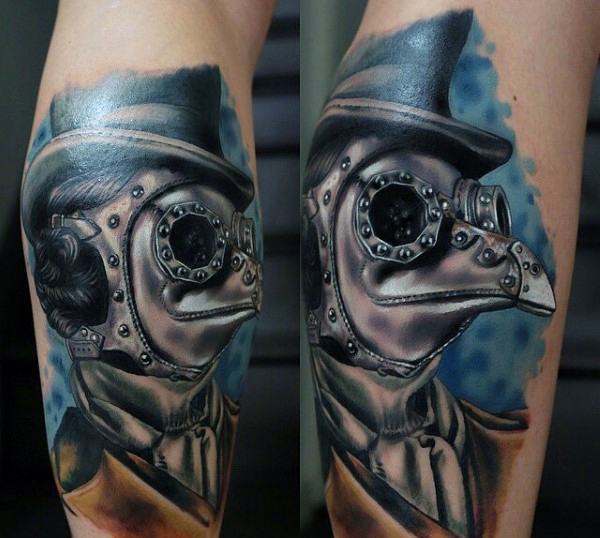 A colored tattoo of a plague doctor’s mask with steampunk detailing. 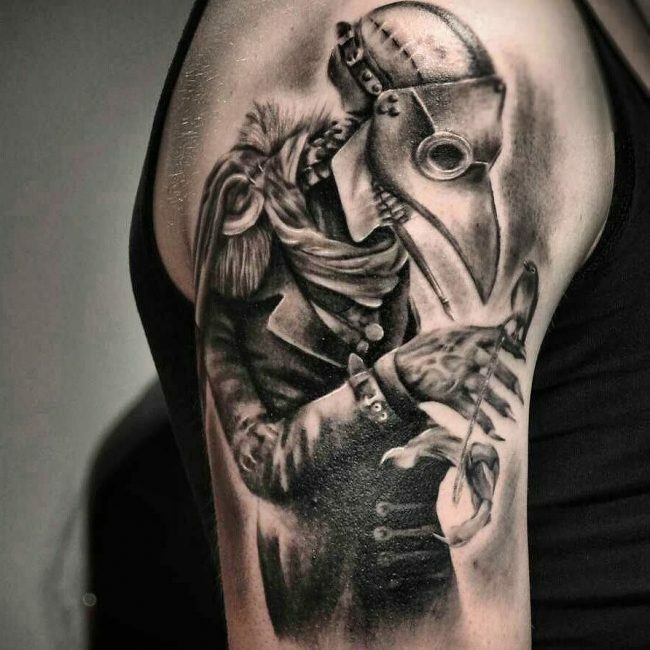 A steampunk tattoo of a plague doctor. Another watercolor tattoo of a plague doctor’s mask with steampunk embellishment. 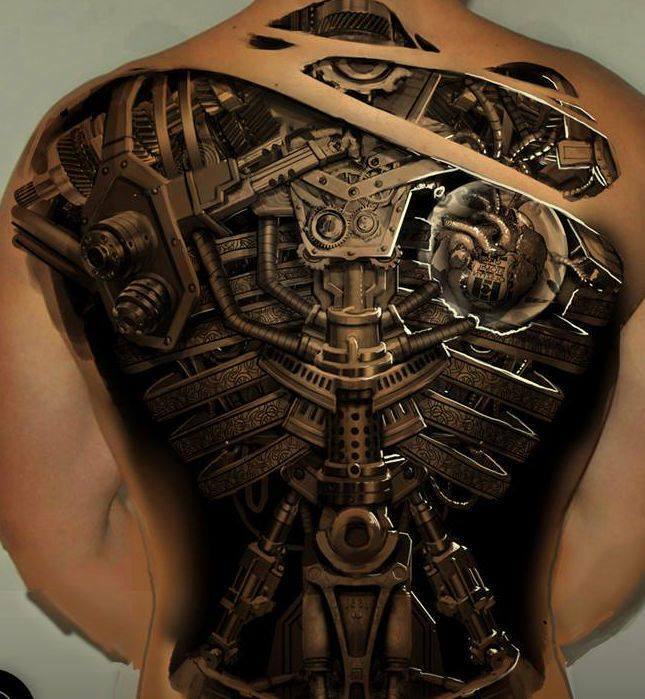 A large back tattoo of a steampunk machinery. 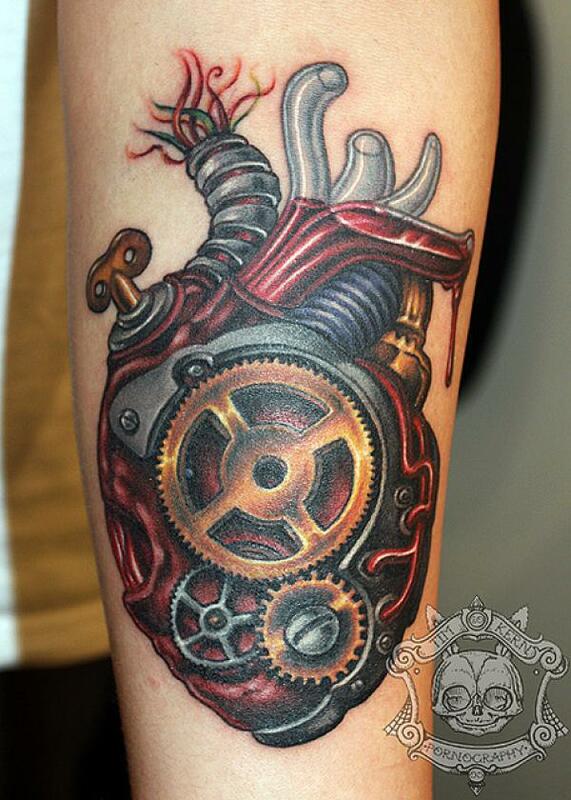 A watercolor tattoo of a steampunk-designed heart. 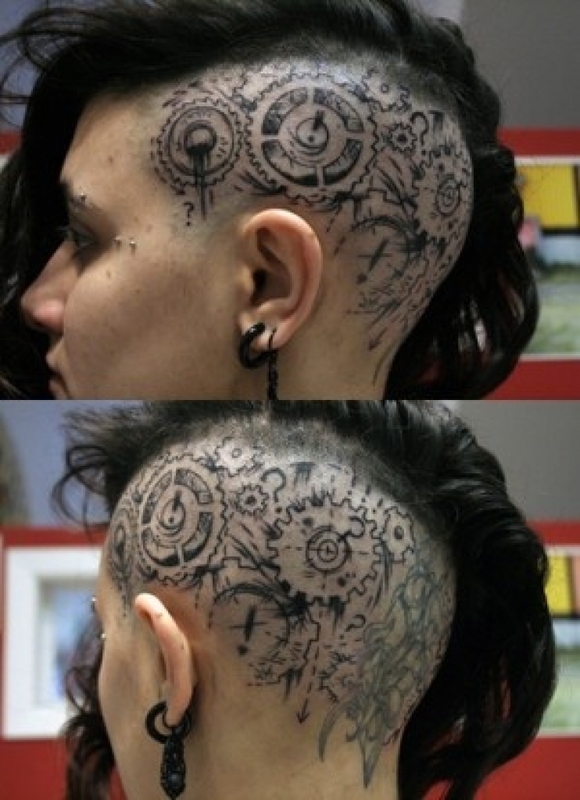 A head tattoo of cogs and wheels. 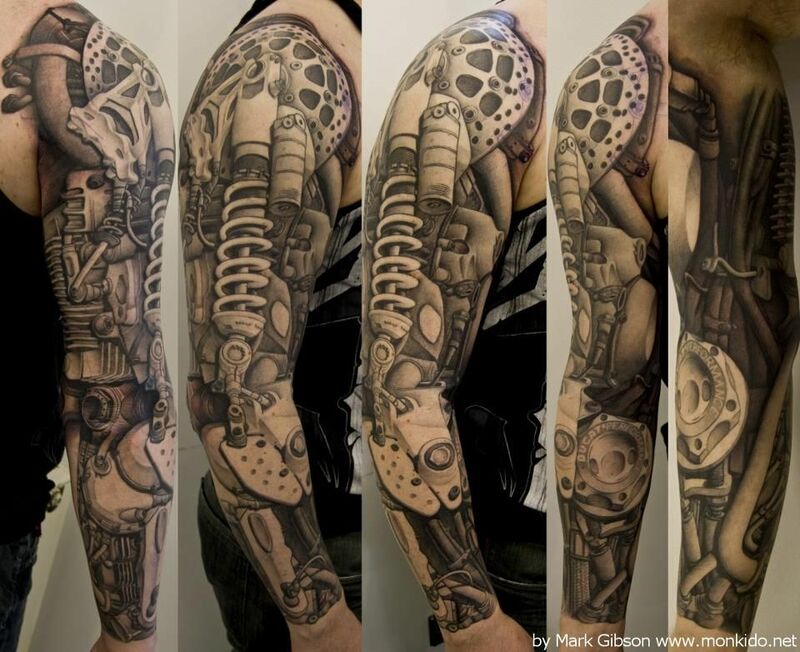 A full sleeve steampunk robotic arm tattoo. 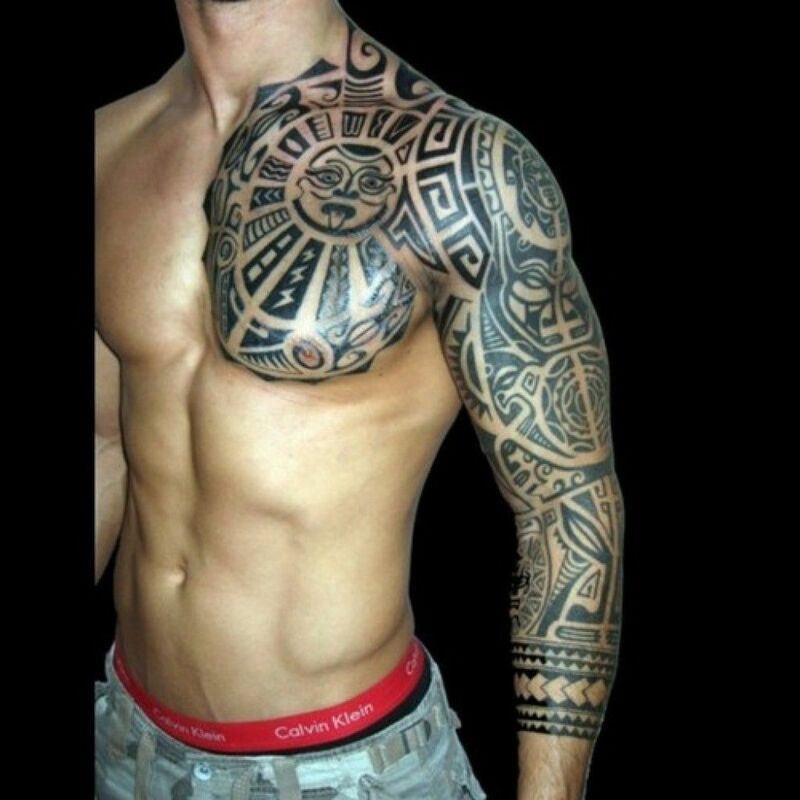 It is quite undeniable that tribal tattoo designs are considered one of the, if not, oldest tattoo design in existence. It has existed almost the same time when early human beings formed groups and tribes to live together and share their strife to survive on our once savage planet. Each group of people has their own design of tribal tattoos to signify their tribe of origin and to differentiate a friend from a foe. Most tribal tattoo designs that dominate today’s body art industry came from, if not inspired by, traditional Polynesian tattoos. This tattoo design is classified by its highly intricate lines and imagery that is present in every tattoo. 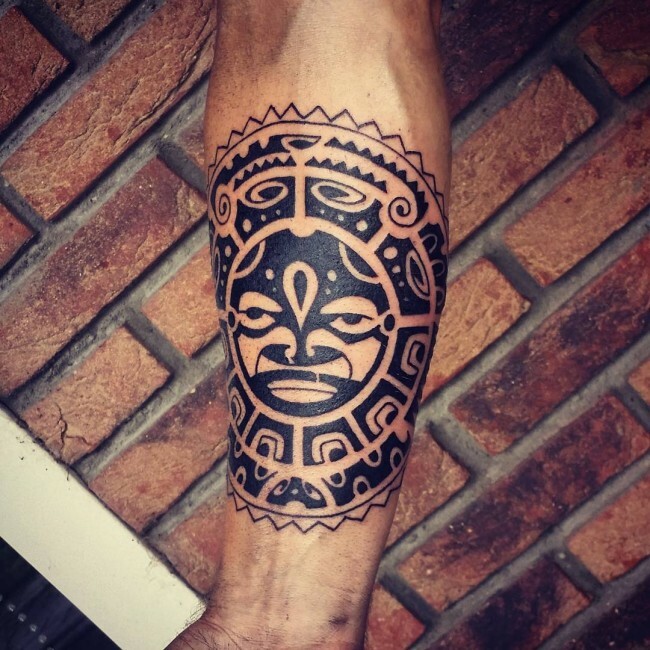 Here are some of the tribal tattoo designs we have seen on the internet. 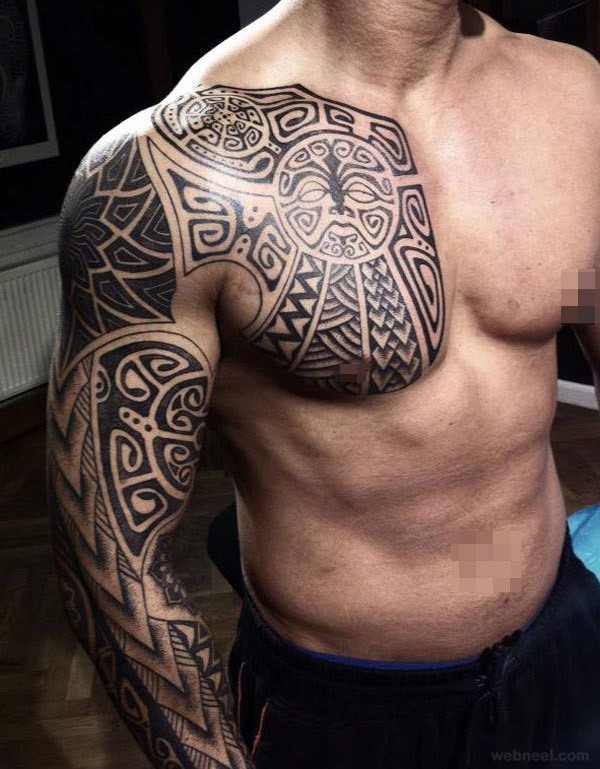 A large full sleeve and chest tattoo of traditional Maori imagery and patterns. 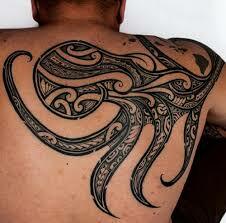 Another full sleeve and chest tattoo of traditional Maori patterns with modern tribal influences. Another full sleeve and chest tattoo of Maori imagery and patterns. 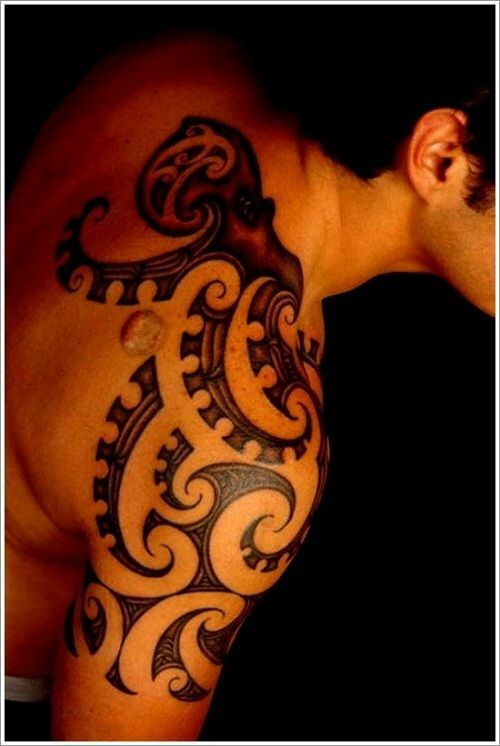 A colored sleeve tattoo of traditional Maori patterns often used in Maori art. 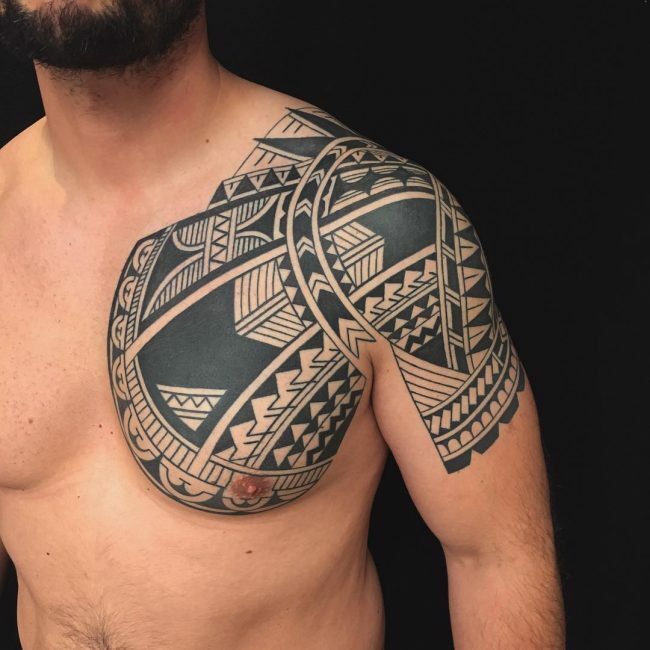 A chest and sleeve tattoo of a Samoan motif. A lower body tattoo of traditional Samoan patterns. 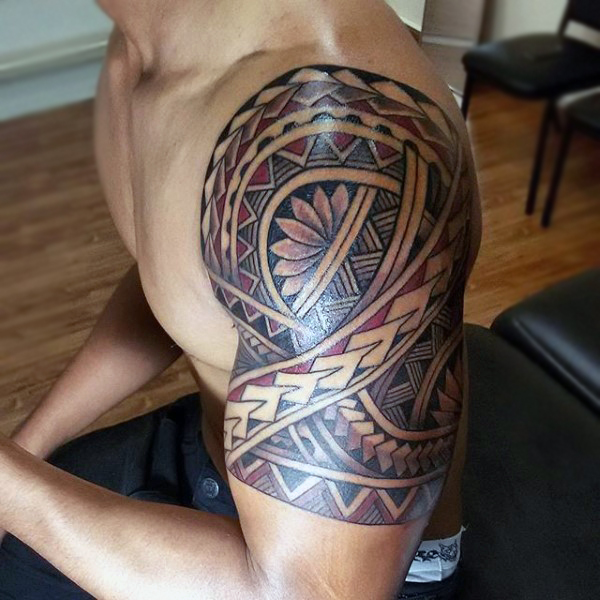 A half sleeve tattoo of traditional Samoan patterns. 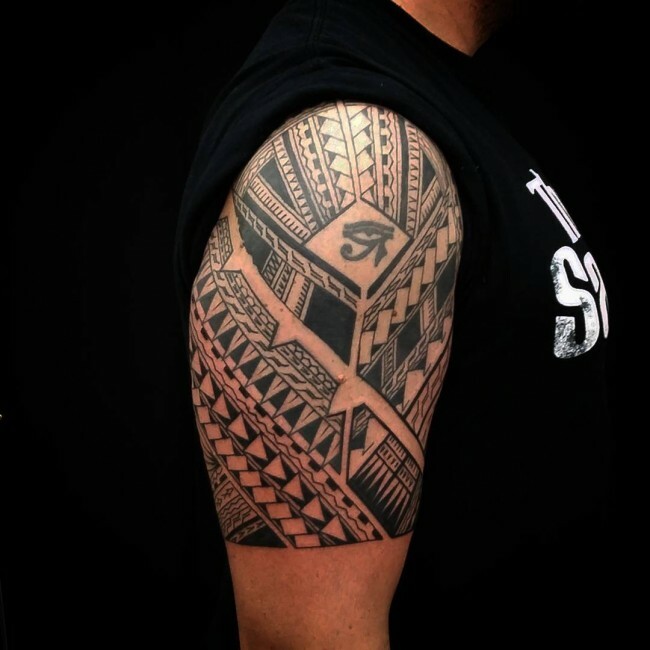 An arm tattoo of traditional Samoan imagery. A back tattoo of a tribal octopus. A ribcage tattoo of an octopus with thick outlines and an intricate tribal pattern. A shoulder to sleeve tattoo of a tribal octopus with its tentacles extending to the sleeves. Arr! Ahoy Me Matey! Since the release of Pirates of the Caribbean, the world has been drawn to the culture and lifestyle of pirates. Thousands upon thousands of people flock pirate-themed rides in amusement parks and pirate-themed restaurants just to have a glimpse and feel to be a pirate. Due to this fascination we have on pirate culture, a lot of people want to have pirate tattoos be inked on their skin. The usual pirate tattoo designs that a person wants to ink is a usually a symbol that is prevalent in pirate culture. The meaning of these symbols changed overtime to contain a mellower tone so here we will provide you design ideas for your next pirate tattoo design and the modern-day meaning of the said design. 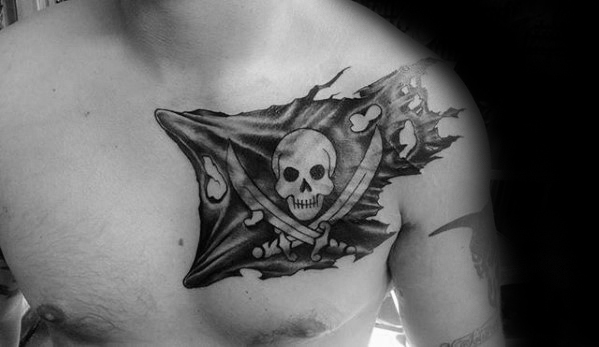 A Jolly Roger Flag tattoo on the chest. 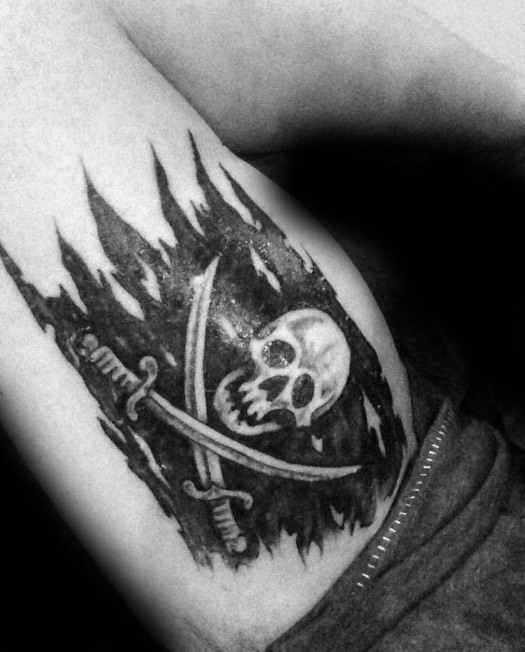 A tattered Jolly Roger flag as a tattoo on the thigh. 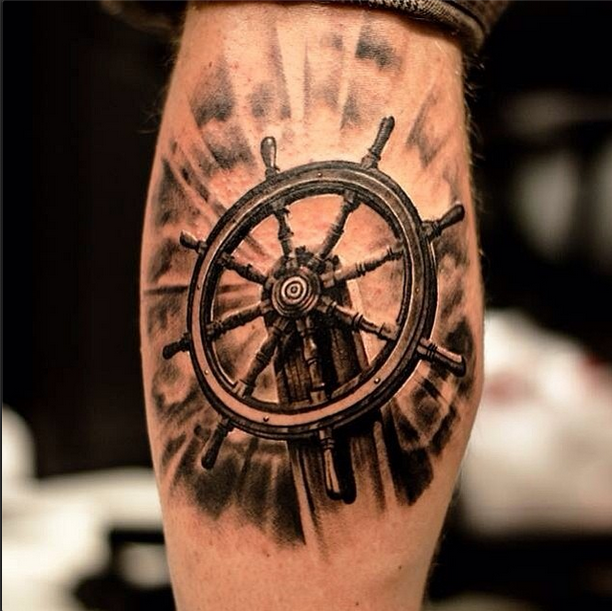 An extremely detailed tattoo of a pirate ship’s helm on the leg. 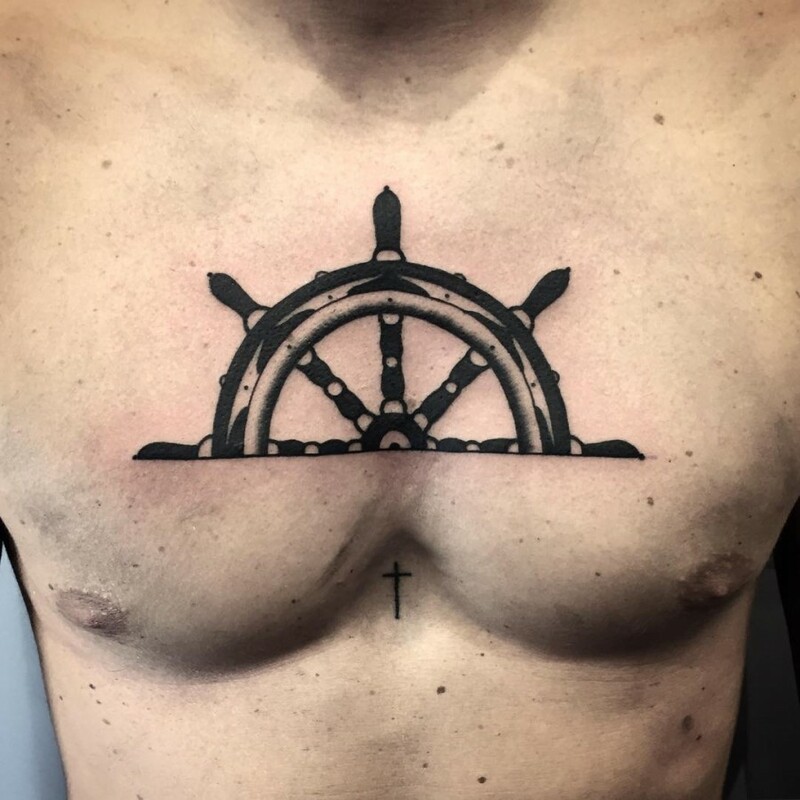 A chest tattoo of a half-helm. 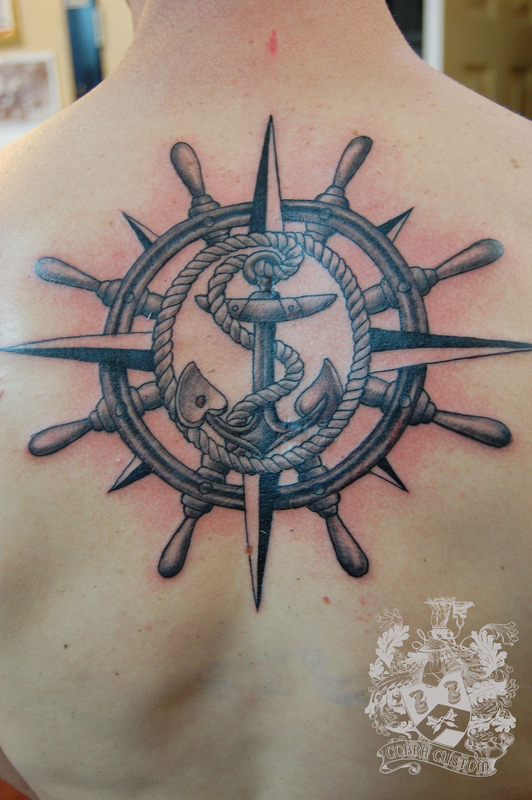 A back tattoo of a helm with other nautical elements such as an anchor and a compass. 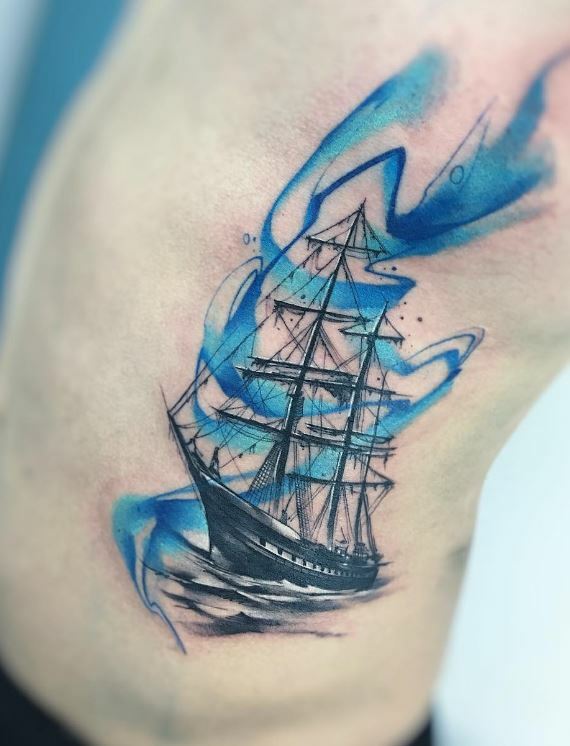 A tattoo of a small pirate ship with blue embellishments. 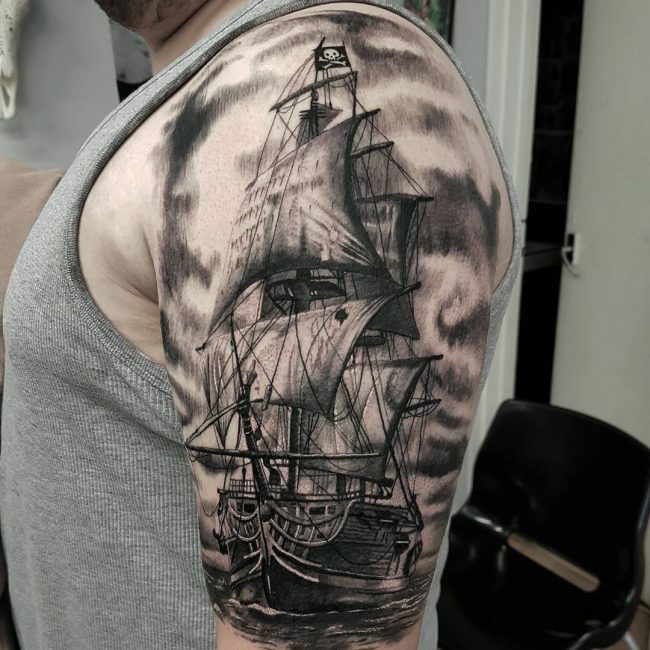 A sleeve tattoo of a pirate ship in a hazy environment. 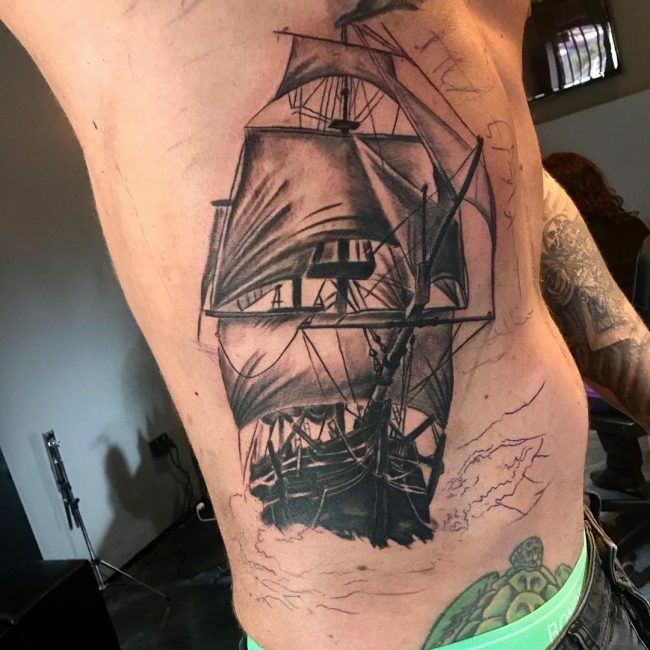 A ribcage tattoo of a pirate ship at sea. 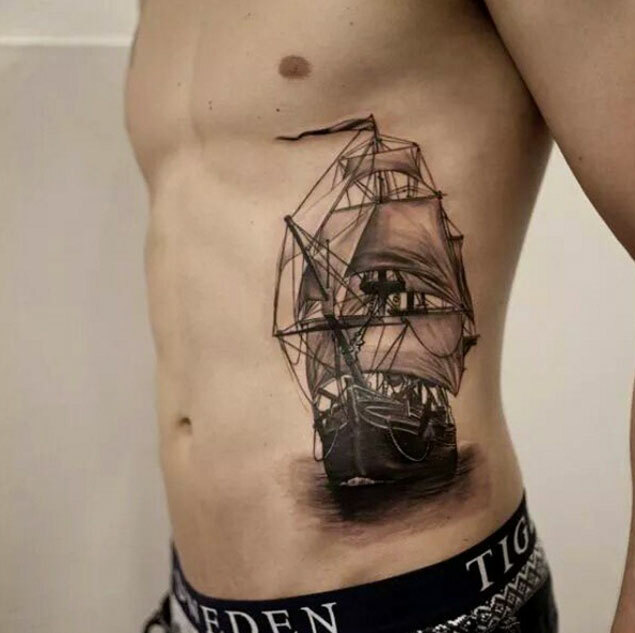 An intricate tattoo design of a pirate ship inked on the side. 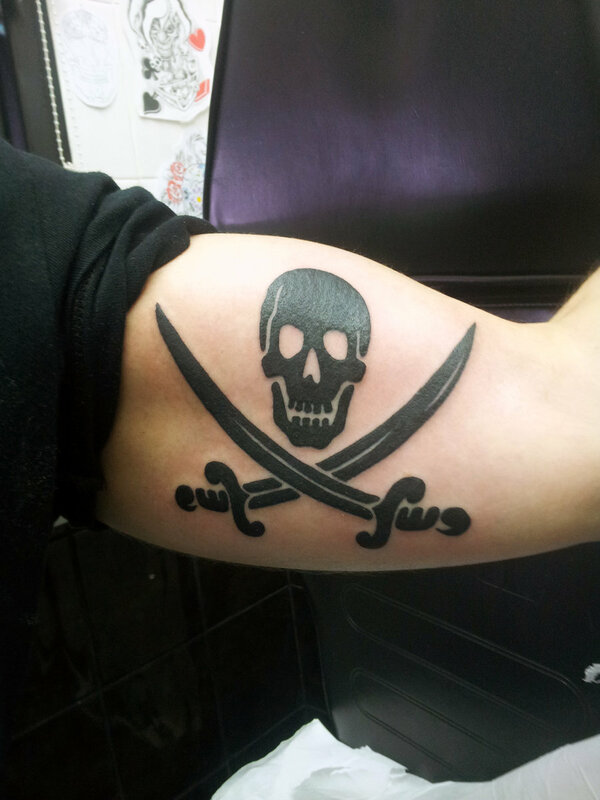 A sleeve tattoo of the Jolly Roger in black. 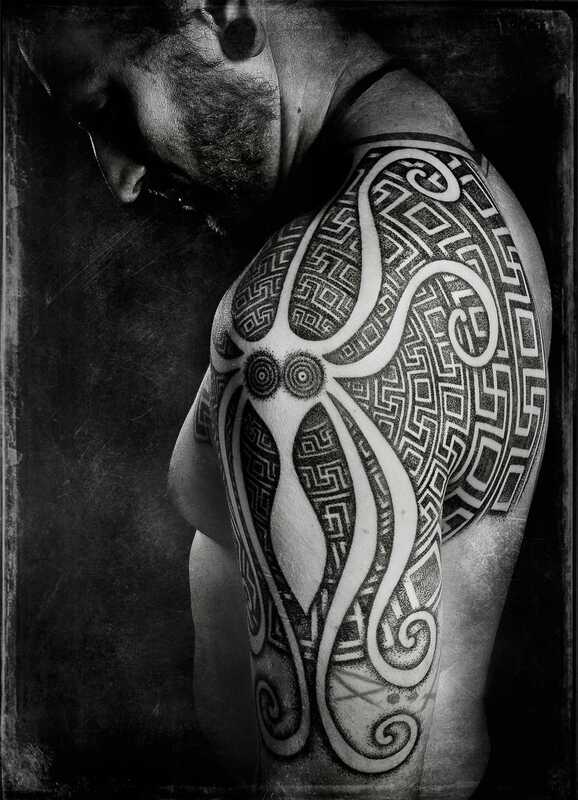 Usually, men are the ones who are more compelled with a visually striking design such as badass tattoo designs. It compliments their personality and sense of style. Plus, it also adds to their masculinity (for those who are quite insecure about themselves). Speaking of masculinity, Men with badass tattoo designs are the rage today since more and more hunky drop-dead-hot male celebrities are getting the tattoo for their skin. Since its the rave in Hollywood today, the scene for badass tattoo designs have never been greater thanks to the ravishing celebrities that have badass tattoo designs inked on their skin. A highly detailed and intricately designed artsy sleeve tattoo of an angry wold with a helmet made of a skull. 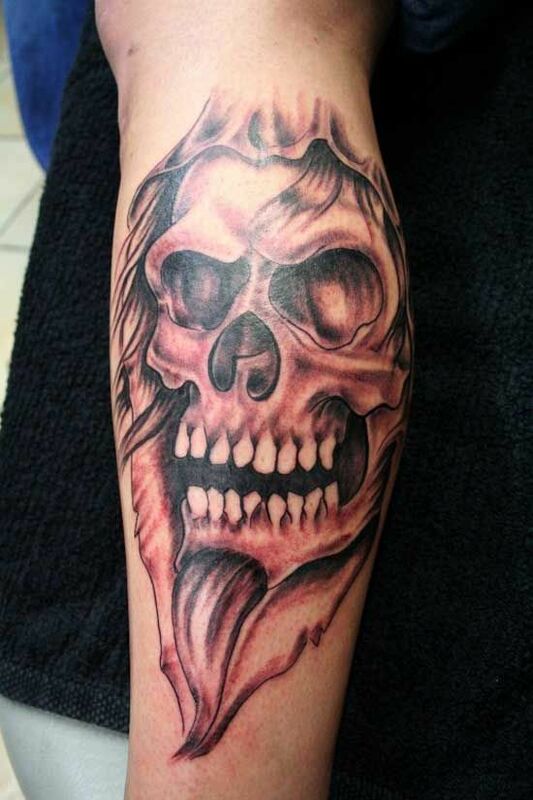 A traditional sleeve tattoo of a skull with a goatee beard. 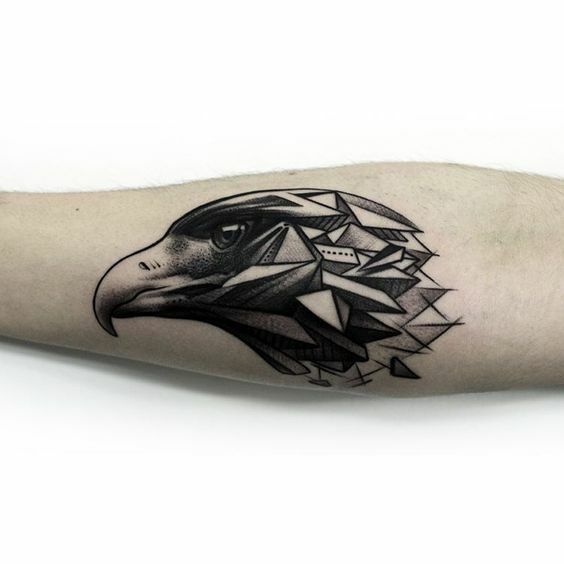 A highly detailed sleeve tattoo of a head of an eagle with geometric low poly designed elements added for additional visual appeal. 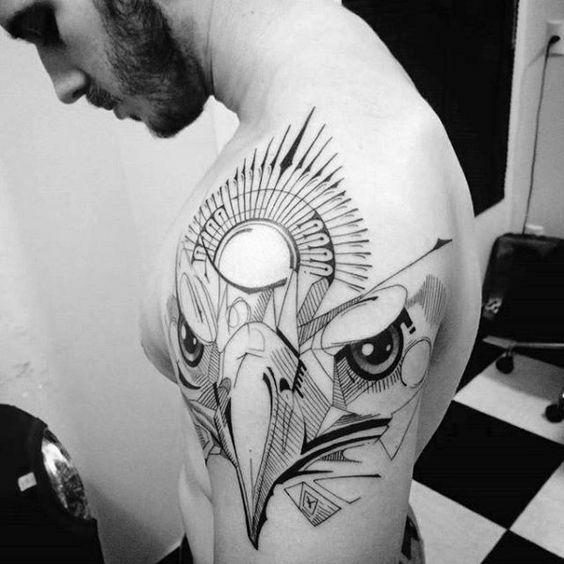 A highly detailed and intricately inked sleeve tattoo of an eagle with clear art deco and modernist influences. 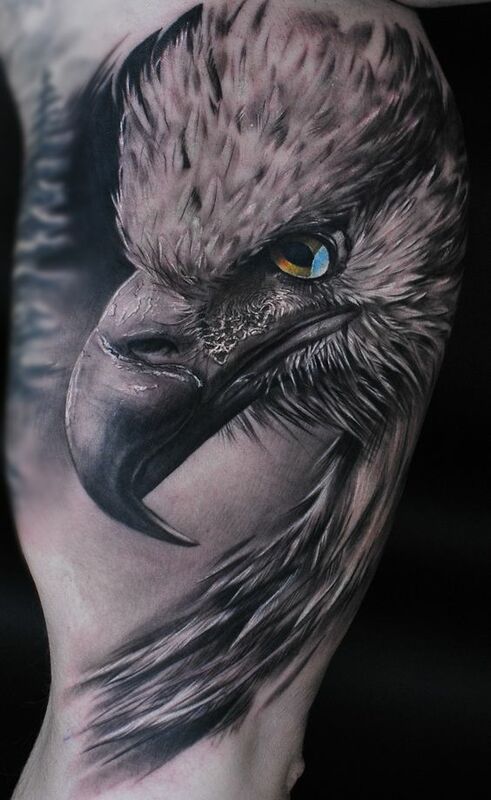 An insanely detailed and beautifully crafted half sleeve tattoo of a hyper realistic eagle. 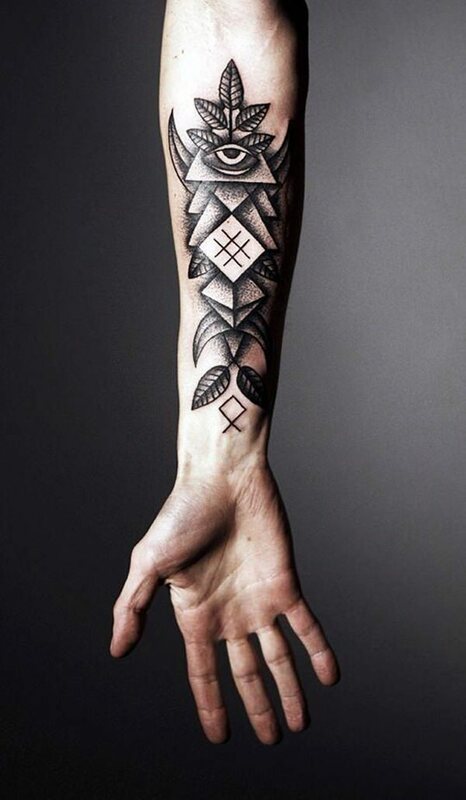 An intricately designed large geometric forearm tattoo of the eye of Osiris with other geometric tattoo design elements to improve the overall look of the design. 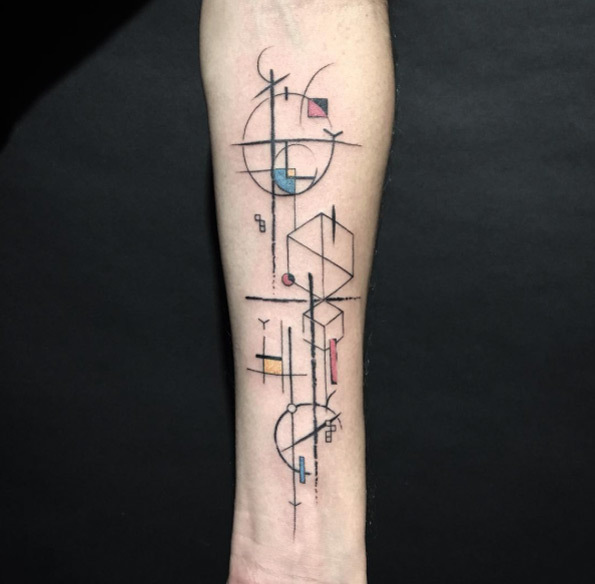 A geometric tattoo on the forearm of an abstract artwork. 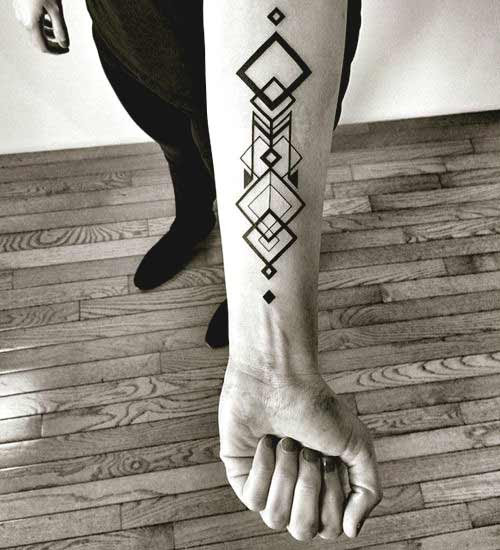 A geometric tattoo on the forearm of differently sized rhombus shapes. 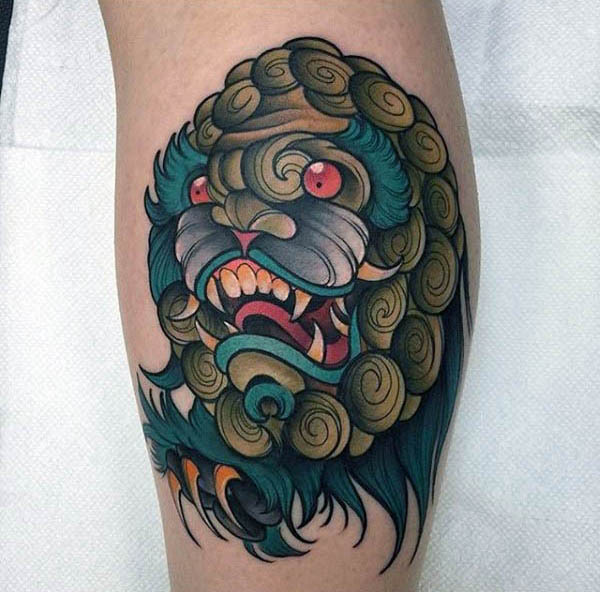 A vibrantly colored neotraditional tattoo of an oni mask on the leg. 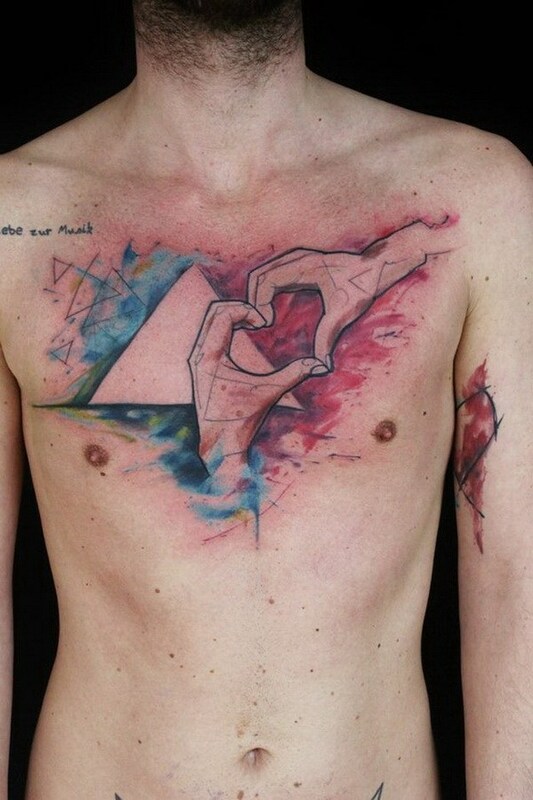 A watercolor geometric tattoo of two hands and a triangle on the chest. 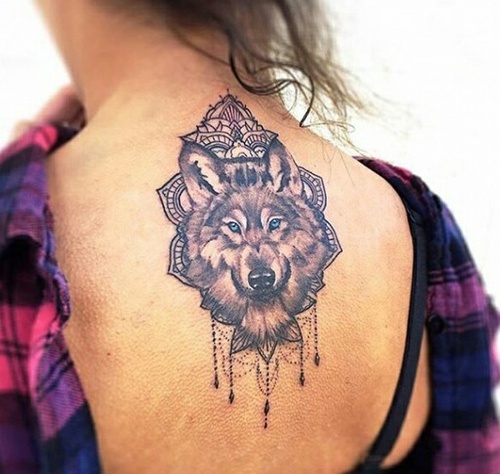 Despite being the minority on badass tattoo design, women also have a fair share of badass tattoo designs that will definitely blow your wig away! They may not have the overwhelming support of Hollywood celebrities since only a handful of female A-list celebrities even have tattoos, they can still come around as a word-of-mouth with more and more women today going for the visually striking tattoo design rather than the meaningful one. 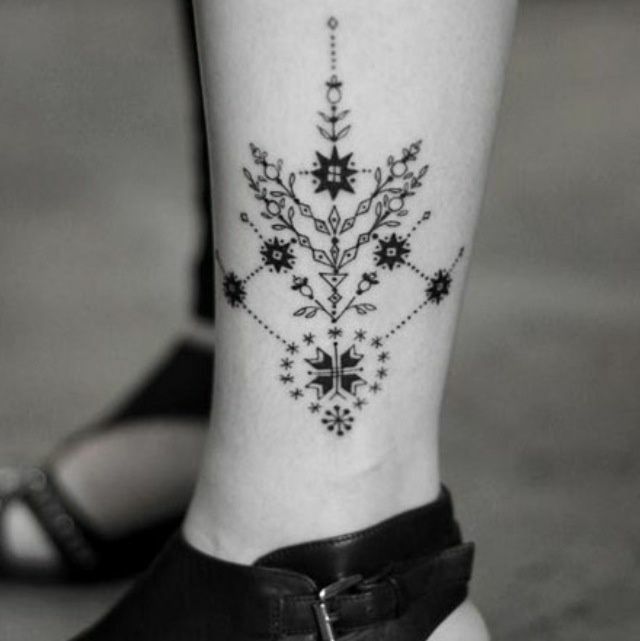 A highly intricate tattoo with floral detailing situated on the ankle. 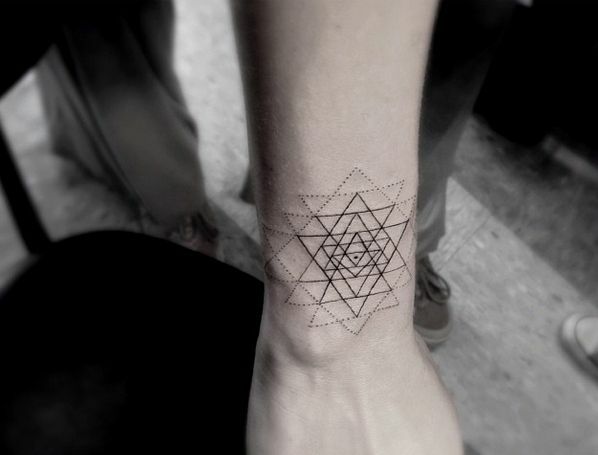 A geometric tattoo of overlapping triangles that form into a star that is situated on the wrist. 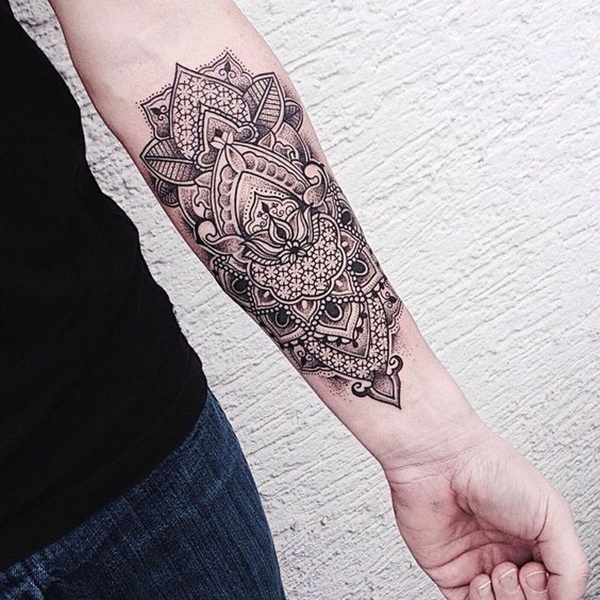 A highly detailed tattoo of a mandala situated on the arm. 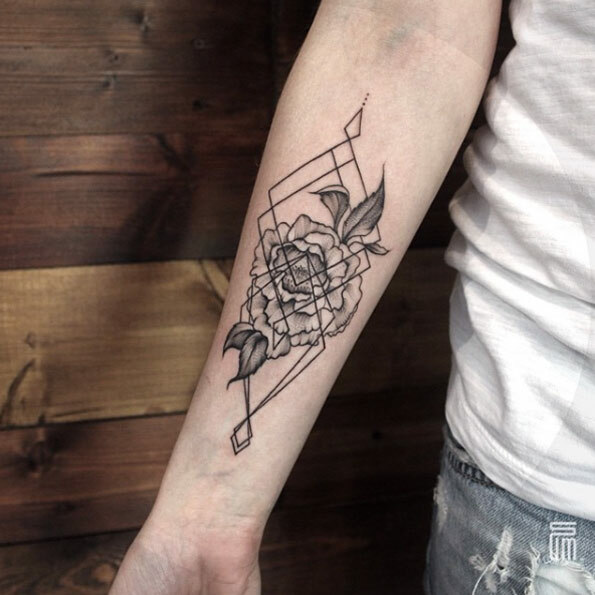 A highly intricate tattoo of a rose with geometric tattoo details on the arm. 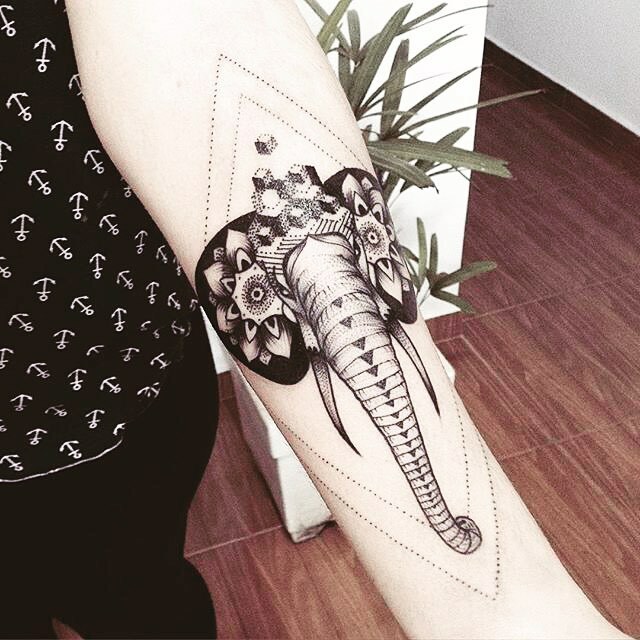 A highly intricate tattoo on the arm of a stylized elephant’s face and its trunk. 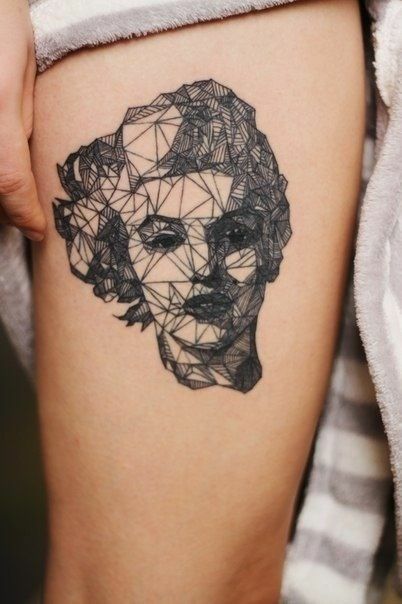 A highly detailed low poly geometric tattoo of Marilyn Monroe on the thigh. A large back tattoo of a howling wolf. 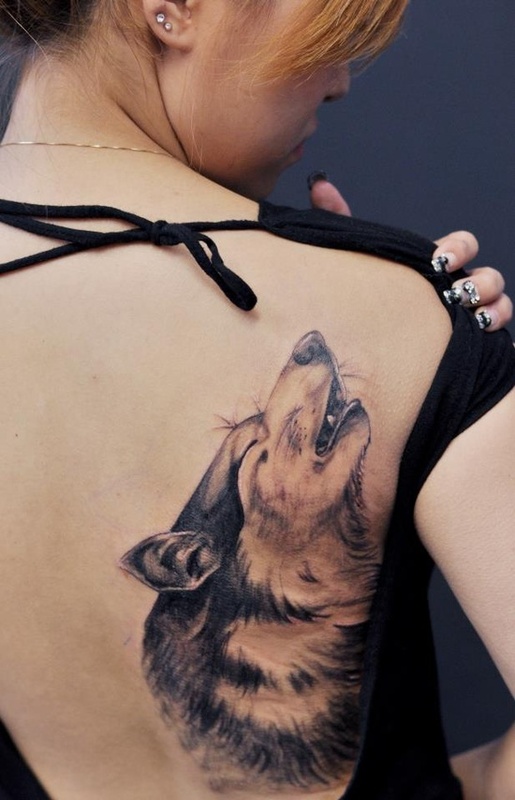 A medium-sized back tattoo of a wolf with blue eyes in bohemian detail. 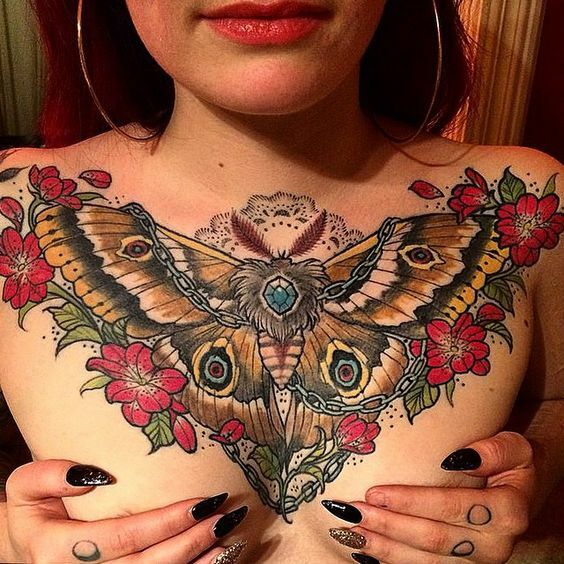 A highly intricate neotraditional tattoo of a butterfly on the chest of a woman.